"The most suitable solution for reporting and financial analysis." I like the way its easy to use this software for reporting t financial analysis purpose without much learning curve.It has a free trial version that was very useful during setup and implementation process.Likewise,with the help of this software it easy to access our organization performance,identify our organization opportunities and and monitor the current trends.Moreover this software integrates seamlessly with Quickbooks and Xero thus working very fast. This software requires good internet connection so that it can run fast and achieve more productivity. Yes,I recommend it use without hesitation for finance analysis and reporting purpose. Easy to know our our organization performance. I like the ease it can pull financial data from Quickbooks Online and, after setting a few KPIs, can produce a repeatable report easy for business owners to read who don't want to stare at a sheet of numbers. The ability to update each quarter with ease is great and perfect for some key board reports. It's a bit more complicated to produce reports when you have a budget by class, but not impossible. The product team at Fathom is quick to answer questions and are continually listening to input and feedback on ways to improve their product. Fathom provides us a platform to produce customized reports for our clients who have to report quarterly or yearly to boards in a way they can easily interpret the numbers. "Ideal for the analysis of financial report"
Fathom allows you to examine in real time the financial results that influence productivity. It is very effective to analyze reports and evaluate the financial performance of the organization. It is very valuable because it has very functions that suit the company. Fathom has good functions for the analysis of reports. However, it is important that you provide the ability to integrate with other applications to improve the financial and productive process of the company. Fathom presents very attractive features that you need in your organization to help understand the financial system of your organization, in addition to having easy review reports. Fathom offers the necessary functions for the evaluation of the financial performance of the company, being very useful its implementation because it allows to review in an efficient way the productivity of the organization. "Fathom the effective platform for financial analysis"
The productive growth of the company is essential and this can be achieved by implementing Fathom by effectively analyzing the financial statements of the organization, which allows for appropriate business decisions. This platform provides the fundamental tools to know and evaluate the financial performance of the company, this has allowed to make appropriate decisions in real time. 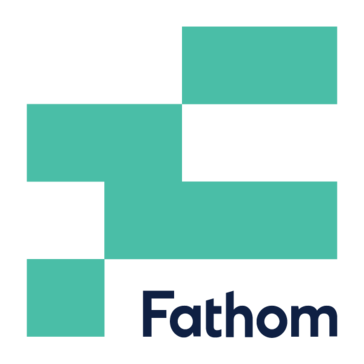 "Fathom un software alternativo para estudio de informe financieros"
Fathom has an intuitive interface, with functions that can be executed without complications. It is an excellent option for the analysis of financial reports, it is also integrated to other applications that are useful in financial analysis. it integrates very well with Xero and Excel. Fathom is an efficient software. However, when starting its implementation it can be a bit confusing to use the variety of analysis tools. Fathom is software that has allowed us to measure the performance of our company. Monitor the financial performance of the company, it is essential to maintain productivity. I recommend it. It is possible to improve the productivity of the company because with Fathom you can evaluate the financial performance of the organization in real time and without so many complications. "Financial Insights for Seeing What Matters in Your Biz"
No hunting or pecking...zero in on the financial metrics and insights that matter the most for your business. I wish there were more templates for common reporting questions. I wish there was better baseline and the ability to add different industry or business "persona" type KPIs for comparative analysis. Eliminated the obfusacted and totally user-unfriendly reporting of QuickBooks. "Visually appealing and interactive dashbaords"
I would like to have a few more kpi's to be added for analysis to be fuelled further. as long as your requirements are in place and you want to skip the spreadsheets and plan your finances, FathomHQ works best and is very easy and intuitive. the reports are clean and I would highly recommend it. I am looking to solve mainly budgeting issues with this tool and plan the comapny's finances more systematically. "Beautifully interactive financial planning tool"
Love the reporting features and ability to set soft KPIs. The reports are beautiful and easy to interact with. My boss loves them. I love being able to connect directly to QB as well. I took over accounting after a couple messy years of startup so the budget comparisons to prior quarters and years isn't that helpful since I cleaned up the COA and it doesn't match up extremely well now. I did not go through the effort of scrubbing the data in excel and uploading separately which I know was an option. I just don't have time with the nature of our fast growing startup. Looking forward to 2016 to see how the comparisons look. I would highly recommend trying this. For people who don't want to do planning in spreadsheets and aren't savvy in creating forecasts, plans and budgets, FathomHQ does the legwork for you as long as your inputs are correct that you upload. We are solving budgeting and planning primarily and focusing heavily on KPIs in 2016. "See your KPI's at a glance - not just standard ones but create any number of your own"
The fact that I can visually see and interrogate my data from Xero. Not just data I feed Fathom, but data that is live, hot off the press. Then I can create custom KPI's to see just the important metrics for me. I wanted to see a clear view of where the company is all the time, not just when I get a monthly report from the accountants... monthly is too slow. But now I can see the info when I want it all the time. I love the calculations it does -ex profitable/sq or general profit margins across companies. "Great product to teach data analysis"
The fact that it is intuitive to use and students can learn how to analyze data in a short amount of time. It also has good graphing capabilities. I can't think of anything that I dislike about this product. * We monitor all Fathom reviews to prevent fraudulent reviews and keep review quality high. We do not post reviews by company employees or direct competitors. Validated reviews require the user to submit a screenshot of the product containing their user ID, in order to verify a user is an actual user of the product. Hi there! Are you looking to implement a solution like Fathom?